Eden Prairie SEO-Digital Marketing Co. Shade Tree Web Pages today announced the official launch date of its upcoming Google Local 3 Pack As A Service product. Several businesses have already expressed excitement in Eden Prairie and have signed up to be included in the Google Local 3 Pack. Shade Tree Web Pages has also released three features local businesses can expect from the Local 3 Pack Service. 2- New Customers In Two Weeks – New Customers Fast. This product has been refined to deliver new customers and leads to business owners in two weeks or less. 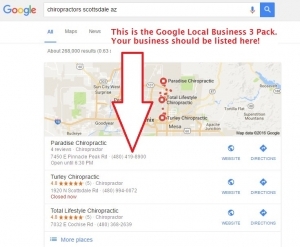 Local 3 Pack As A Service combines seo mobile optimized web pages for each company, and placements on local and national media sites that show company information to thousands of visitors every day.